It is unfortunate to know that Yahoo is going to shutdown/transfer the awesome Delicious bookmarking service. 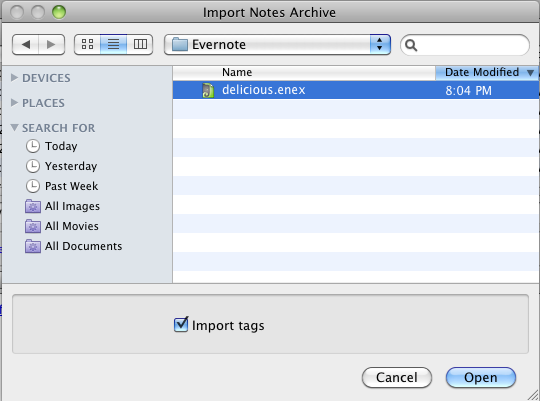 Evernote does not support direct import of bookmarks from delicious as it does with Google notebook. 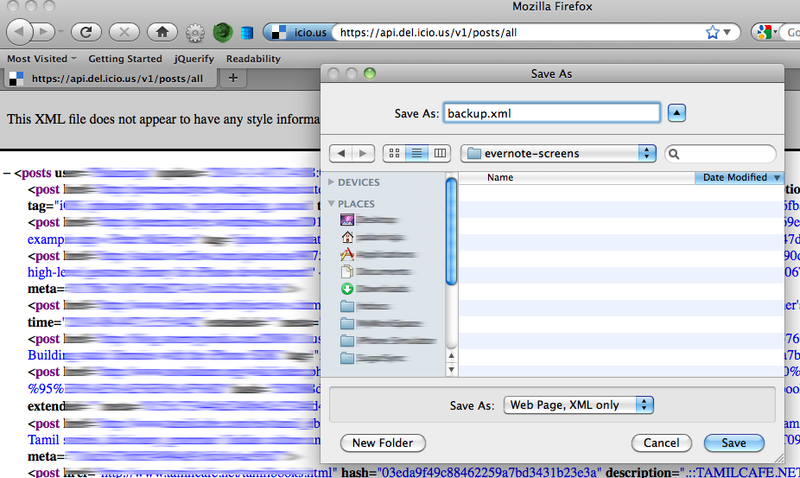 I wrote this script to move my delicious bookmarks to evernote for my use. It should be working for you as well, give a try without losing the tags. replace the username and password with yours. with your username and password. Please read the Update at the bottom of this post. 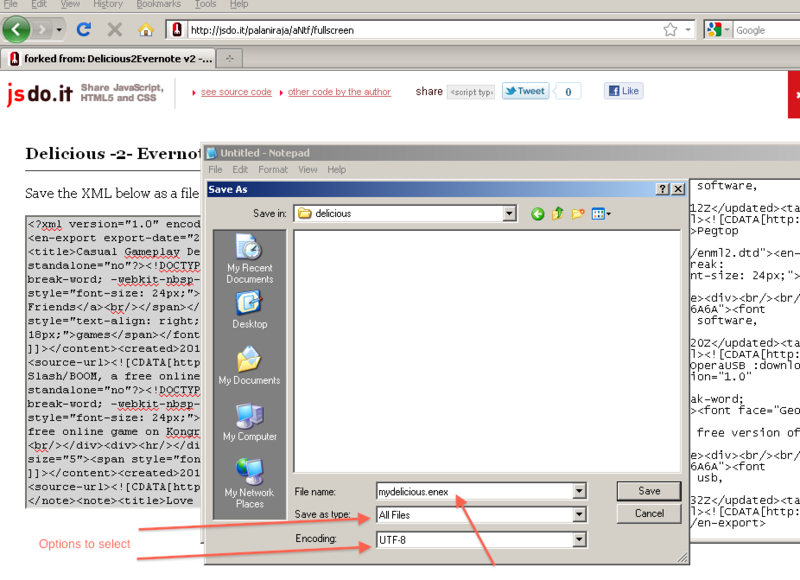 It will display the output as xml, save the file as XML. Step 1.1: Accounts tied to Yahoo! If your delicious account tied to Yahoo!, then please use the awesome http://deliciousxml.com/ to login and download your xml and proceed to step 2 below. My sincere thanks to Anonymous who gave me the link in the comments. 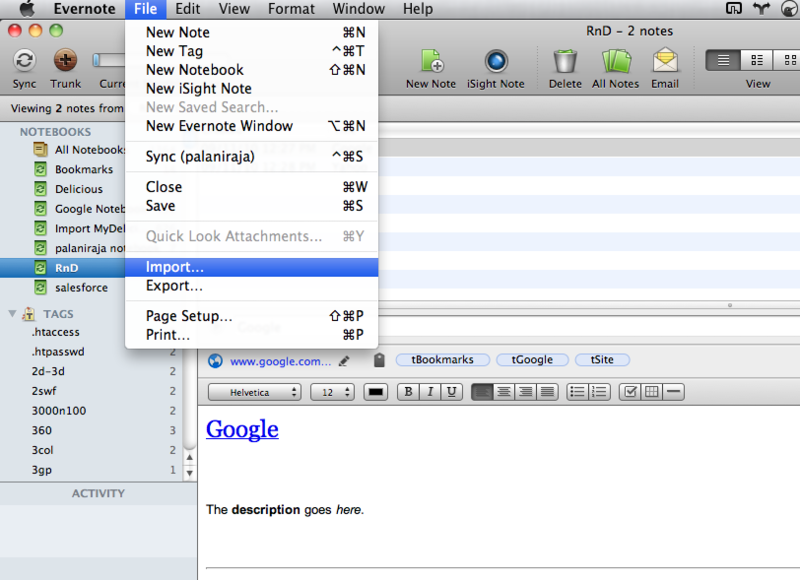 Goto Delicious-2-Evernote v2 paste the contents of the .xml you just downloaded to the text box and hit the Evernote xml button. Thats it. Enjoy Evernote service. Code is available at jsdo.it, updates are welcome. It seems to be an issue with Windows version of Evernote with the output generated by the script. I’ll test my delicious bookmarks with windows version and update soon. 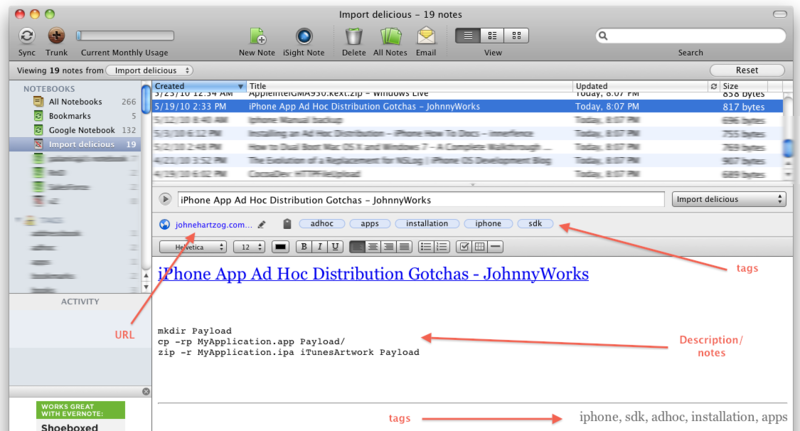 the other one is due to special characters (that are not htmlentities) in the title. Fix is to select the encoding type as “UTF-8” aNotepad saves the file in ANSI as default. Kindly refer the img below. My sincere thanks to Florian on sharing the solution. Good news: Code is available at GitHub for more easier way to submit/fix the code.